Chasing your losses is a fools errand in any casino game, but it’s often a hard idea to shake when you find yourself at the bottom of the barrel and at the mercy of some devious croupier that seems hell-bent on sending you home bankrupt – which can happen on a night out more than we like to admit. So what is chasing your losses and why is it so bad? It can be a number of things really. It could be increasing your regular bet in the hope of winning back money you have already lost, or it could be spending more money to gamble for longer in the hope of gaining back losses. Putting it simply, chasing your losses is a turn of phrase for spending more money gambling than you initially intended or can afford. In reality, though, chasing your losses is often times the end result of a list of calamitous behaviours. So how can you avoid this entire downward spiral to begin with? The professionals go into a gambling bout with an allotted amount of money that they are able or willing to lose and once they have lost that amount they will not spend a cent more. This is referred to as a bankroll. Even if you just gamble every once in a blue moon it is smart to incorporate this practice of the pros into your own playing style. Managing and sticking to a personal limit puts you in the right frame of mind. If you start gambling with the assumption you will win, then you have already lost. It’s the people who understand that winning is a bonus – and the professionals – that wind up making money and not walking away wondering where it all went. Going in with a set amount in mind reduces the likelihood of you shuffling back and forth from the ATM all night and eventually chasing your losses. Gambling should be an avenue of fun and entertainment – not an instrument of escape. It’s when we abuse vices to escape our everyday troubles that they can become a real problem. Making bets and wagers while depressed, coping with the end of a relationship or the loss of someone or while angry or stressed is not a great idea. Not having that clarity of thought and general coolness that you are usually renowned for could cause you to make silly bets and eventually chase your losses, sending you spiralling down the proverbial rabbit’s hole. This should be a no-brainer. 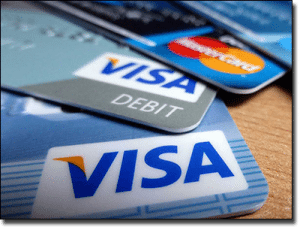 By leaving your bank and credit cards at home, you completely remove the temptation of chasing your losses with a quick but unwise withdrawal, and possibly finding yourself in debt. Before leaving for a night out on the punt, whether it be out to the city casino or the local pub for a roll on the pokies, leave your bank and credit cards at home and just take the cash that you need for the night or how much you are prepared to lose gambling. Removing temptation is the simplest way to stop yourself from chasing your losses. It may seem like over-stated, basic advice, but you’ll be surprised how often people underestimate this precaution and end up falling prey to the need to win back losses with more money they can’t afford to lose. Note: The information below is intended for our international readers only. 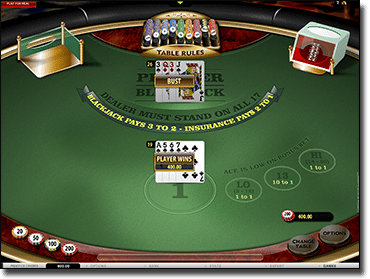 Online casinos were banned from accepting Australian players in September 2017 following the introduction of the Interactive Gambling Amendment Bill 2016, so for Aussies the content on this page is informational in nature only. This might sound like odd advice, but betting real money online can be a pretty safe way to ensure you don’t get carried away while in the grip of a powerful gambling fever. There are no dealers to tempt you to keep playing, no brights lights to dazzle you and no beautiful women to turn your mind to putty. With online betting or casino accounts, whatever you have deposited is your limit and can not be overdrawn. Having that set amount in your account automatically reduces the risk of chasing your losses because it takes a little time, thought and effort to top-up most online accounts with popular deposit methods. Bank transfers, for instance, can often take 1-3 working days to deposit. Most other methods are instant, but the majority of bookies and casinos have deposit caps which means you can’t exceed each deposit option’s maximum. 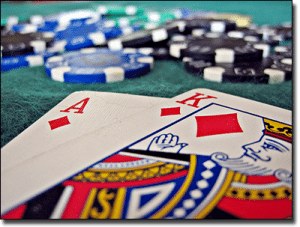 Whether your poison of choice is sports betting, table games or slots you are well catered for with online bookies or online casinos. So whether you decide to play online or at a bricks and mortar casino or the local pub’s pokie repertoire, go in with a plan of attack and a budget. Stick to that budget. Leave your bank and credit cards at home to remove temptation and don’t gamble to escape the problems in your life: gamble for fun.